The fortifications at Mönchsberg is well known as on the right side of the river Salzach, are at the center of interest on this tour. 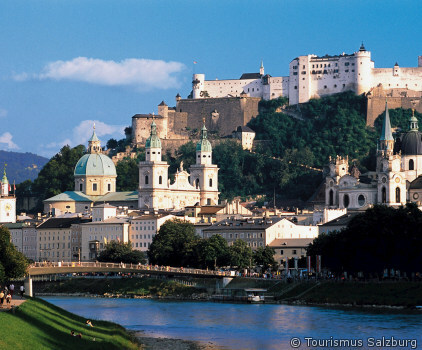 This symbol of the capital of Austrias most beautiful departement, the fortress Hohensalzburg, will be shown to you. The rooms, used by prince archbishop Leonhard von Keutschach, reigning at the beginning of the 16th century, will be the highlight of a halfday tour.